The easy-to-digest course for entrepreneurs who want to get their business the legal protections it deserves ASAP. Have you been thinking about starting an online business? Are you about to open your virtual doors to your first clients? Or, are you ready to grow + expand your current digital biz? If you answered yes to any of those questions: that is amazing! entrepreneurship can be an incredibly exciting time! There are few things in the world that can give you the purpose, freedom, and abundance a digital business can create. and remove your income ceiling for good. And there's no better time than right now to build yours. you need to get in place: your legal protections. something you love, but it's also about laying the ground for a business that will be profitable AND protected right from the get-go. But if you're just getting started, spending thousands of dollars to have a lawyer draw up papers for you may be a bit out of budget. And that's where The Legal Ins-And-Outs of Starting An Online Business comes in. 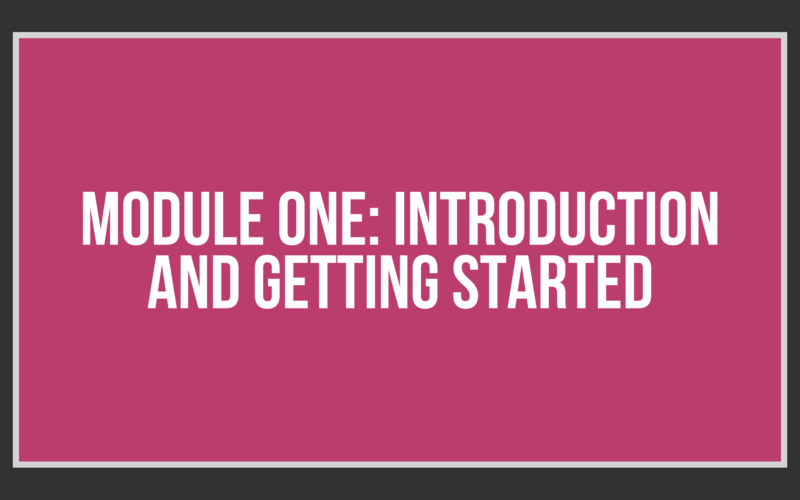 It's my signature, easy-to-digest five module course that will walk you through all the legal aspects you need to know about this wonderful business of yours. I'll show you how to get started with a proper business structure, how to set yourself up for success with Intellectual Property, and what you really need to know about contracts + agreements in your biz. Before you can do anything, we have to start with understanding what Intellectual Property is and how it affects your business. 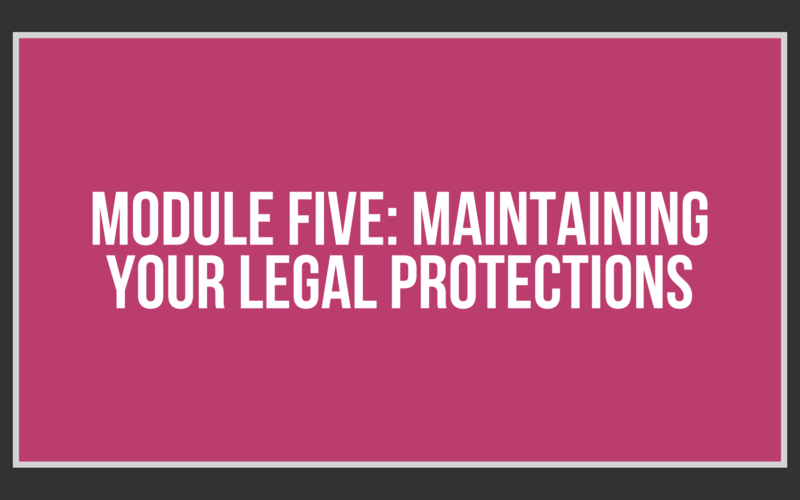 In this module, you'll learn the legal basics you need to know in order to start getting yourself protected. 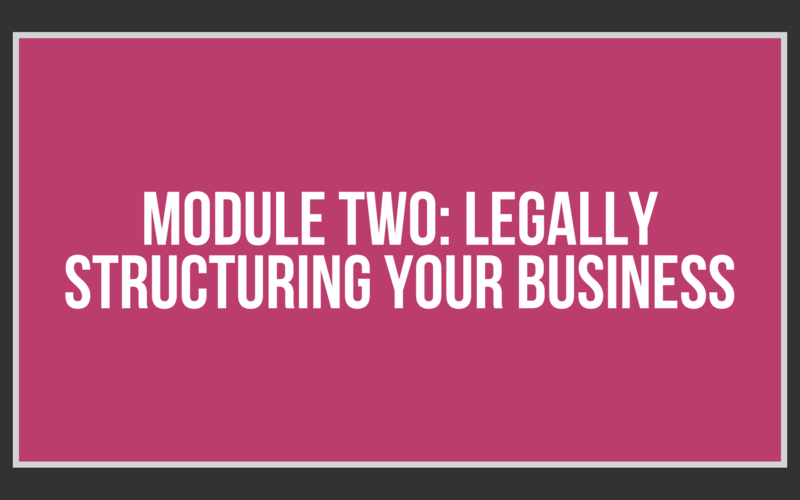 Setting up the right business structure is one of the most important legal steps you can take to protect your business, and that's exactly what we're going to cover in module two. We'll talk about the different types of structures out there and how to choose the best one for you. Now that you've got your business structure figured out, we have to talk about the vital legal protections for your business. This includes client contracts, web agreements, employee contracts, and more. We'll walk through each of the different documents you may need in your personal business. If you want to run a protected + profitable online business, you have to consider your own intellectual property. 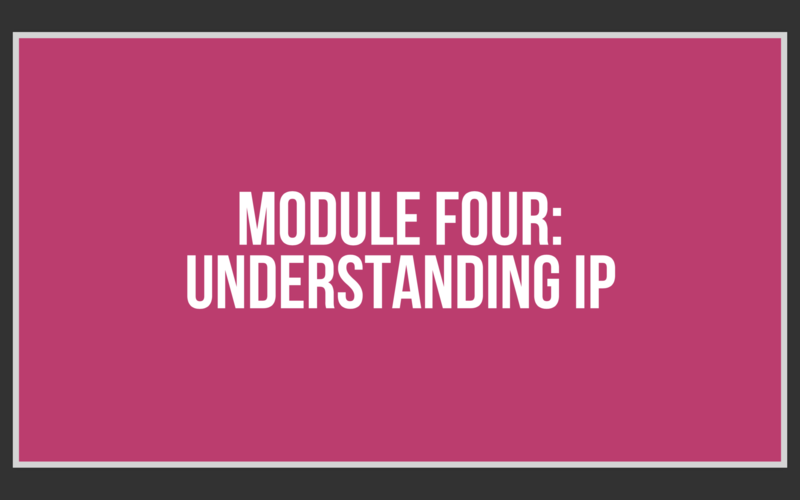 In module four, we'll talk all about the difference between a copyright, trademark, patent, and trade secrets and how to go about securing one of these pieces of intellectual property for your business. 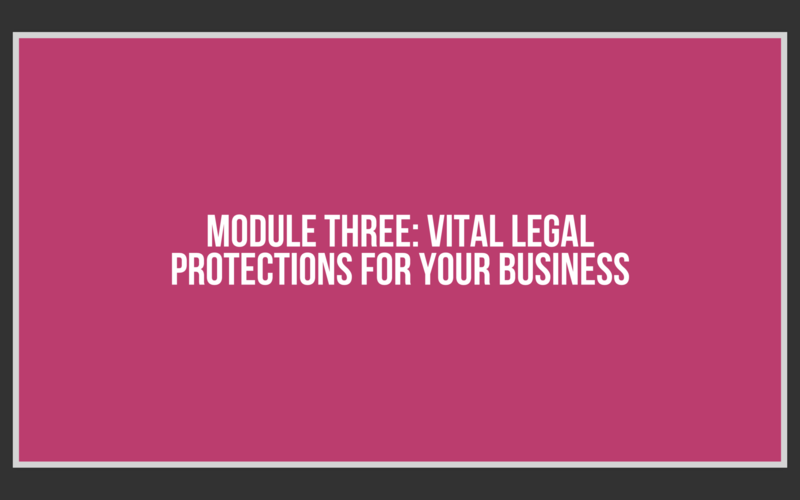 The last module in this course is dedicated to maintaining your new legal protections. We'll talk about how to stay up to date on your agreements, how to know when it's time to upgrade a document, and what you need to do in order to keep your IP valid and protected. Ready to get your online business the protection it deserves?